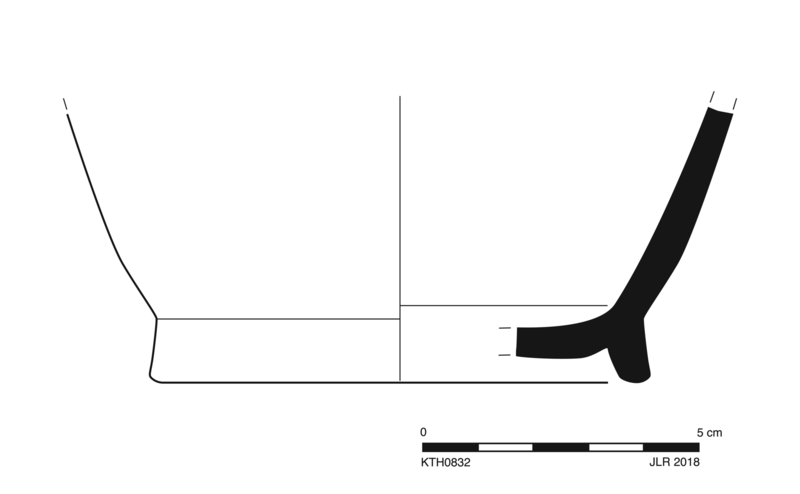 Simple, flat to slightly concave base; vertical outer face to straight slaring lower wall. 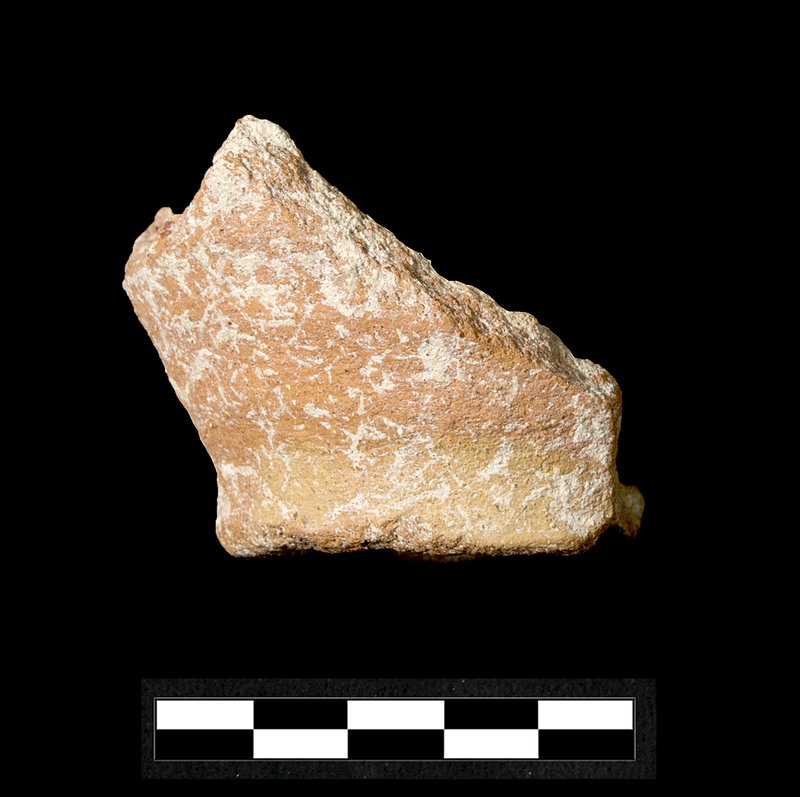 One sherd preserves roughly one quarter of base and lower body. Slight erosion of fabric; slight, somewhat extensive abrasion on all surfaces and chipping along edges; slight, extensive film of encrustation.